With my kids’ room makeover well underway, I’ve been looking for fun ways to decorate their room. Whether you’re decorating with a large or small budget, adding a few DIY items to the room is an inexpensive way to give the room some personality. 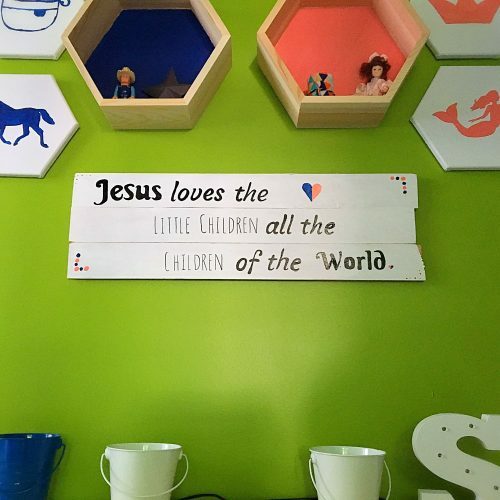 When I interviewed an interior design expert about how to set up the kids art room, one important tip the expert shared was to allow the kids to personalize the space. One suggestion was to allow the kids to paint the letters of their name and hang it on the wall. Two of the crafts I’m sharing today involve letter wall hangings for the child’s name, while the other two kids room DIY crafts provide additional ways to make the room look special. Today, all four crafts are from the blogger Twitchetts, who shares simple DIY activities that kids can do with their parents. 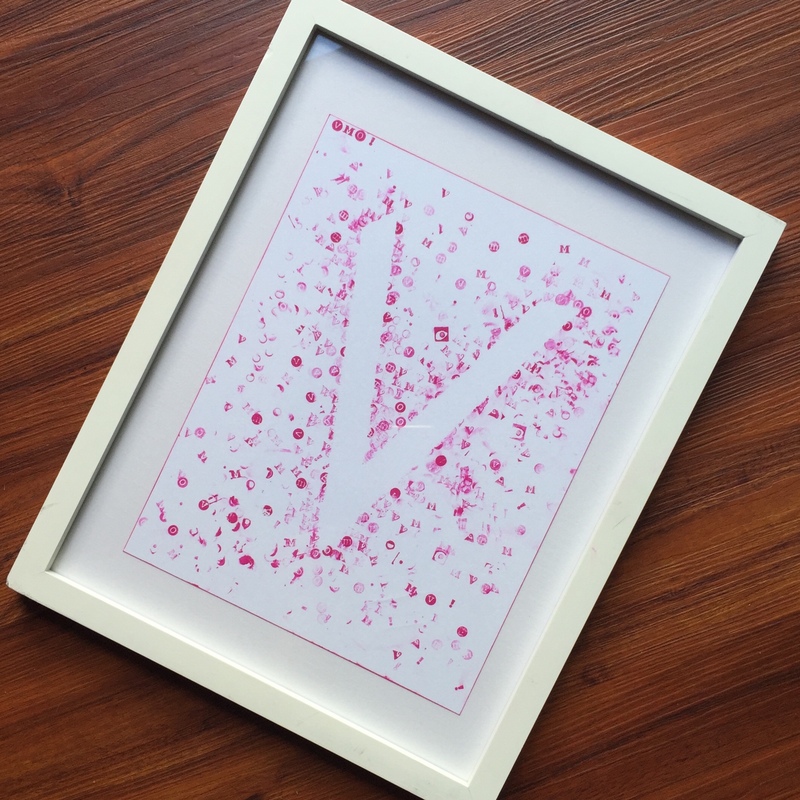 For a cute personalized wall hanging, try this keepsake hangable stamp craft. Simple enough for a toddler to do, the craft uses stamps, ink, painter’s tape, and cardstock or weighted paper. You can buy any type of stamps to do this craft. If you have a themed room, try stamps that would go along with the theme. Miniature letter stamps create a fun, literacy-rich vibe that is very appealing. Visit the full blog post for step-by-step directions here! 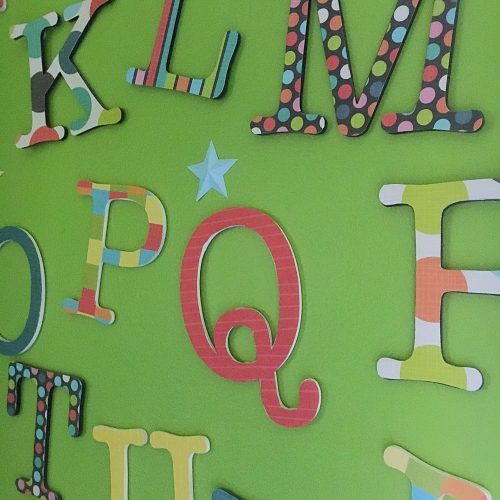 If you’re creating wall decor for kids under age 7, the alphabet is an excellent choice of inspiration. The more kids can see the alphabet, the more they can learn the letters. To include the entire alphabet on the wall in an alphabet collage, you can make this craft with die-cut letters. Check out the full article on how to create this wall here. 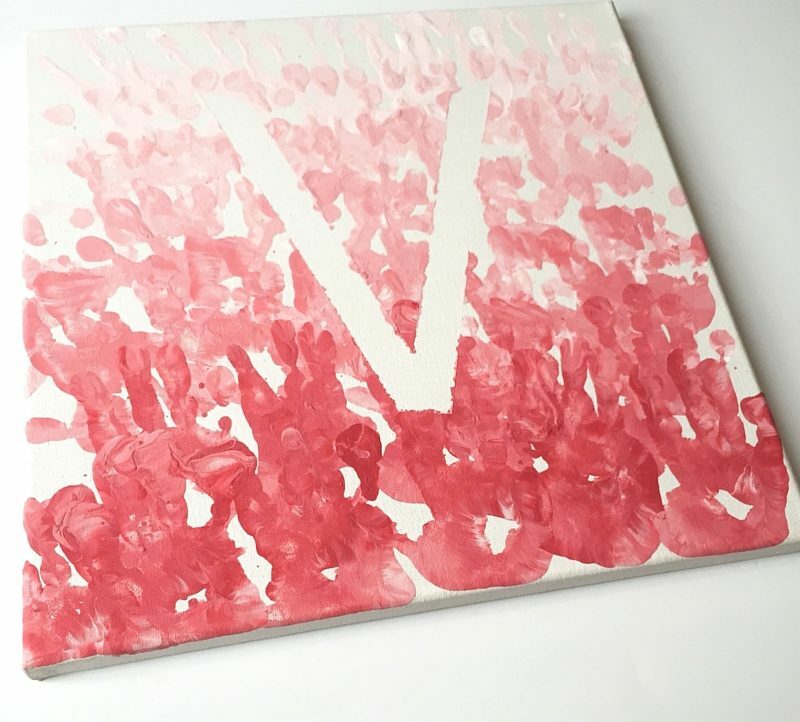 Another idea for including the first initial of your child’s name on the wall is to make ombré hand print art. The result is a gorgeous, layering of colors on canvas. You can go with any color of paint to match the room, and buy white paint to create different shades. Check out the full post that gives details on how to make the craft here. As a final kids room DIY crafts idea, create inspirational quote wall art. If you’re having a hard time choosing wall art from the store, creating your own can make the area much more personal. Choose a quote that you love, and create the design on a piece of wood that would hang well on the wall. Visit the full blog post here for detailed instructions. Have you successfully completed some fun, kids room DIY crafts? Share in the comments! For more home decor ideas, follow Theresa’s Reviews on Facebook, Twitter, Pinterest, Instagram, and Youtube. I love your ideas, perfect for me to coordinate with my Grandkids. I love to have a project for every time we visit. These are great ideas that they can keep in their rooms and enjoy long after the playdate.